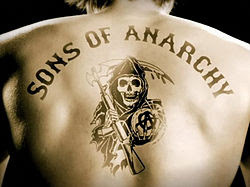 Recently, I had a few hours to kill at an appointment and started watching Sons of Anarchy on my Kindle Fire (via Netflix streaming). I was instantly hooked and have been obsessively devouring episodes whenever I have a few moments to sit down and watch some TV. 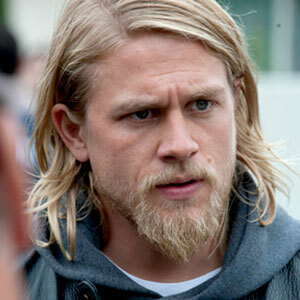 The show is extremely well written and has a great cast, not to mention Charlie Hunnam who plays Jax Teller is pretty easy on the eyes. Anyhow, the other night I had a free evening and wanted to make a simple and quick dinner so I could catch up on a few episodes. I figured the dish should be something hot but sweet (like Jax...just kidding) and decided to try out this recipe by food blogger Rosemarried for Roasted Broccoli with Sriracha and Honey. I liked that it used things that I already had in my fridge and in my pantry. I just left out the green onions and subbed in cashews for the almonds and it turned out to be the perfect "TV dinner." - Line a baking sheet with aluminum foil. - In a bowl, combine: soy sauce, sesame oil, honey, Sriracha and black pepper. Pour this sauce over the broccoli florets and toss to coat. - Place coated broccoli florets in an even layer across the baking sheet. - Roast for about 8-10 minutes, until broccoli is tender. 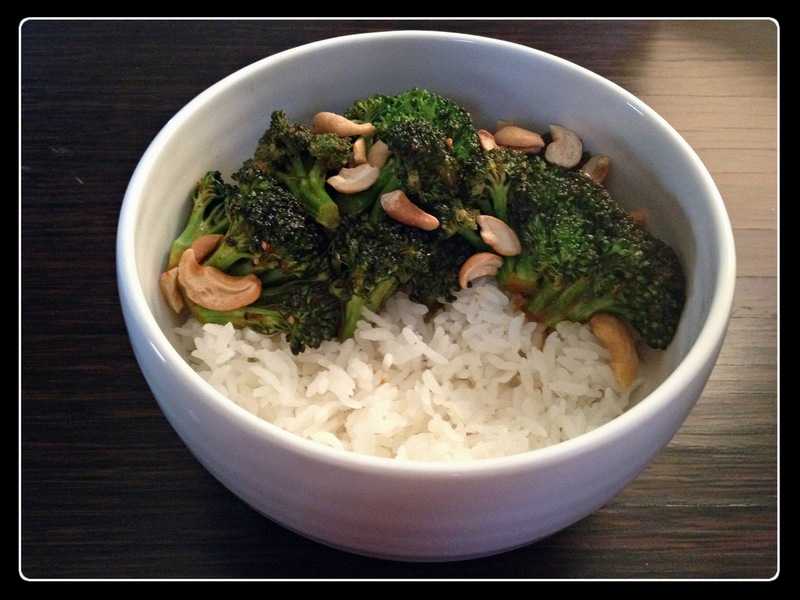 - Transfer broccoli from the baking sheet to a bowl. Toss with roasted cashews. Taste and adjusting seasonings if necessary. Wait 'til you get to the episodes where he cut his hair. MEOW! You can usually find me whipping up various dishes, desserts and small fires in the Grid.